This enormous network dates back to Stone Age, stretching across Europe from Scotland to Turkey. Its original purpose still remains unknown, creating multiple theories and speculations.German archaeologist Dr Heinrich Kusch, in his book on the ancient superhighways named ‘Secrets of the Underground Door to an Ancient World’ (Original title in German: “Tore zur Unterwelt: Das Geheimnis der unterirdischen Gänge aus uralter Zeit…”) revealed that underground tunnels were dug under literally hundreds of Neolithic settlements all over Europe. It is surprising that so many tunnels have existed for 12,000 years, which leads to the conclusion that the original networks must have been enormous. The tunnels are small, only 70 cm wide, which provides a person with just enough space to crawl through. Small rooms, some of them used for storage as well as seating areas can be found in some places. Although many people consider Stone Age humans primitive, some extraordinary discoveries such as the 12,000-year-old temple called Gobekli Tepe in Turkey and Stonehenge in England, both demonstrating advanced astronomical knowledge, prove that they were not so primitive after all. The discovery of this huge tunnel network gives important information about human life during Stone Age. For example, it shows that humans did not spend their days only hunting and gathering. However, the scientific community has not reached a conclusion on the actual purpose of these underground tunnels, and only speculations can be made. According to some scientists, these tunnels were created in order to protect humans from their predators. Another theory supports that they were used as a way for people to travel, like motorways are today, or move safely, sheltered from bad weather conditions or dangerous situations like war and violence. According to Dr Kusch’s book, people built chapels by the entrances of the tunnels. In addition, writings have been found which refer to the tunnels seen as a gateway to the underworld. Whatever reason this extraordinary network of tunnels was created for, it remains a unique structure that amazes scientists all over the world. 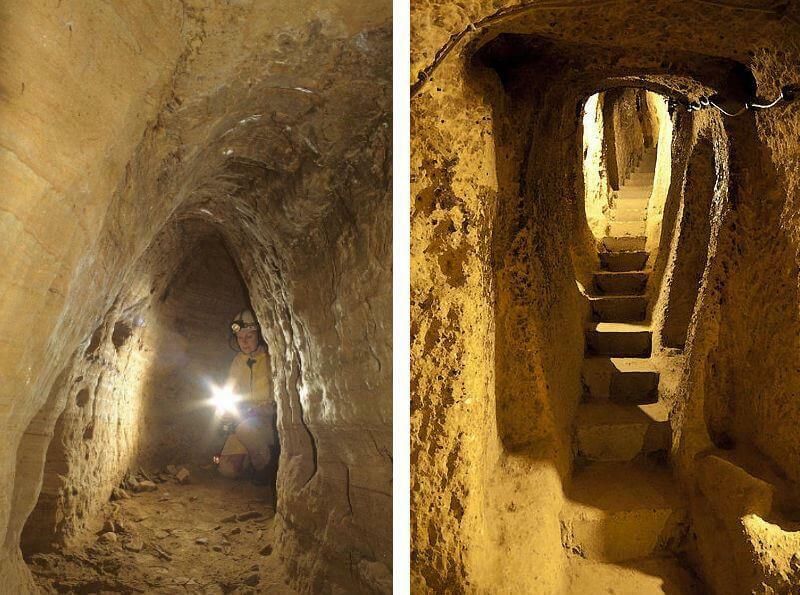 The archaeological research will certainly answer the question of the real purpose of these tunnels in the future. The secrets of the past are yet to be revealed.